This weekend I get to travel up to beautiful San Francisco to visit my best friend Lindsay and be with her friends and family to celebrate and congratulate she and her fiancé Lorcan on their engagement! 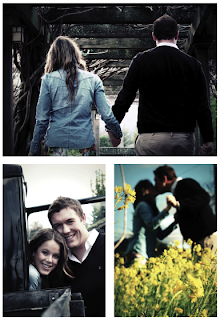 The wedding is Nov. 4 2011 in Yountville, CA and no doubt it's going to be a beautiful and fun filled event! Linds' is one creative chickadee (check out her Bride-to-be Blog @ lindsayandlace.blogspot.com) so I know everything will have a fun Linds' feel to it! So looking forward to this year and celebrating her and Lorcan - I can't think of a more wonderful couple and can't wait to be a part of their big day!